To help students from all disciplines (e.g., founders, marketers, investors and brokers) achieve their domain name goals. We base our strategies and tactics are based on repeatable, unbiased, time-tested processes — while understanding that subjectivity and “art” can never be fully removed. We tell you what you need to know, not everything there is to know. We teach you to use only the best tools, not every tool that’s available. We remove or identify bias wherever possible. We serve students who take a long-term, proactive approach to domain names rather than those who make short-term, reactive decisions. We help you grow in knowledge about domains and share the wisdom that comes from past experiences. This mix of knowledge and wisdom builds confidence. We teach and expect students to always act in a trustworthy and honest manner. We encourage long-lasting bonds with partners, clients and fellow entrepreneurs by listening and engaging in positive, courteous and respectful dialogue. The best deal for domain investors is the VIP pricing @MichaelCyger negotiated for @DNAcademy students. Now, we are saving big money on new registrations and renewals at @Uniregistry. Thank you, Michael! "DNAcademy is suitable for beginners as well as for professionals. Every investor will find interesting topics. To learn all the information that Michael provides in this course, you would need to spend a few years of your own experience and searching the internet. I recommend DNAcademy." "The domain name valuation process was the most valuable part of the course for me. Without this you are relying on guesswork. All in all, I would recommend the course and have already to my brother in Australia." "This morning I wrapped up the course it was amazing. Instead of throwing darts and hoping for a bullseye, I now have a tried and tested system for valuation and the knowledge I need going forward." "This is by far the best online course I have ever taken in my life. Period. It totally exceeded my expectations - I expected high course quality, but such a big knowledge quantity that Mike exposed here really surprised me (which is a great thing, of course!)." "DNAcademy is a must take course for domain investors. Understanding the details about the metrics that go into valuation has helped me." "I recommend that you take this course if you are serious about domain investing. It is well structured and covers everything you must know to get started. If domain investing could have a manual, then I believe this to be it!" "Love DNAcademy. I should have taken it years ago." "Where was this course 20 years ago when I entered the space! If you follow this course and invest the time you will see profits in a short amount of time. Michael provides you all the tools to succeed." "This is one of the best online training courses I have ever had. The definitions, histories, examples, scenarios, backgrounds, stand procedures are very well presented in the course. Personally I found VALUATION METRICS, TUTORIAL VALUATIONS and SELLING DOMAIN NAMES most useful." "Isn't it better to invest in education instead of spending thousands of dollars on renewals or buying worthless domains? I certainly thought so, and I am glad I did! DNAcademy is not only the perfect place to get proper education, but reaches into the very DNA of a domain name investor. Michael's 6x6 Matrix might spare you hours of pointless cold-calling, and another tactic might teach you how to find and compare other domain sales so that you don't undervalue a great domain that you have. My only wish is that I found out about this sooner." "Of course, anyone can still take the DIY path - there are many great free resources on the web that allow you to do that - but for those to whom time 'time is money' I think DNAcademy will prove to be a very welcome addition to the domain industry landscape." "For me the value of this course was the amount of time and effort it saved me versus trying to learn domaining on my own. I can't even imagine how much money I would have wasted if I hadn't stumbled on this course when I did." "If you're on the fence on whether to join DNAcademy, jump! In addition to the already outstanding course curriculum which guides you through the entire process of domain name investing from soup to nuts, the value of all of the 'extras' alone are worth far more than the tuition costs. From regularly scheduled and private webinars to exclusive discounts with industry leaders, DNAcademy actually saves you money and continues to add benefits long after you complete the course. You will keep coming back (I know I do) to see what's been updated, added and upgraded. My highest recommendation." "Prior to taking the course, I found understanding the market quite difficult. DNAcademy provided an overview of tools, techniques and context that has greatly improved my comprehension of domain valuation and the secondary market. I recommend DNAcademy to anyone who is interested in learning more about domain investing." "Awesome program and great lessons. Highly recommended for domainers." "If you're a rank beginner, or maybe you've even bought or sold a name or two, DNAcademy will give you a solid grounding in the essentials of the cybermarket...This isn't the first site offering courses in name trading, but it's the first that we've heard lauded by Frank Schilling, considered by some to be the Warren Buffet of domain name trading...That's high praise from a man who has fifteen years experience as a trader, registry, registrar and market-maker." "The course was packed with the best information all in one spot. As a newbie, you want to progress with your business and it is great having this course to reference whenever I need help. Thanks for the great work." "I am new to domain investing and I needed to figure out how successful investors bought and sold domains. DNAcademy provided me with all the practical tools necessary to make money as a part-time domain investor. I recommend this to any new domain investor who wants to become an instant insider!" "The DNAcademy was a surprise and boon. I had just come from Namescon where once again I was overwhelmed with information, opportunity and an ever expanding field of knowledge. The course literally pulled it all together in an organized, informed and in many cases enlightened manner. This is not theory. This program is based on factual examples, tools and strategies that I am 100% sure will change the course of my investment strategies. In my opinion it should be required reading for any person interested in domain investing." "To Cyger's credit, the man is methodical to no end." 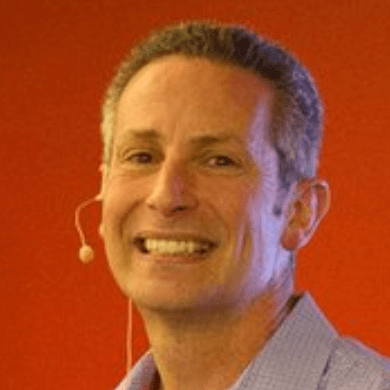 "Michael Cyger’s DNAcademy lessons on [outbound domain sales] are something we recommend." "I have been investing in domain names for a number of years. Over time, I have gained knowledge and picked up useful information from here and there, but I have always felt that something is lacking, preventing me from being a professional investor. For this reason, I signed up for the DNAcademy course and it's one of the best decisions I will ever make in domaining. The course covers everything from A-Z and it's all in one place, clear and easy to follow. For myself, the course provided all the missing pieces of the jigsaw puzzle, and learning how to correctly value each of the six types of domain names was my main benefit. I feel that I have become a better investor as I have learned how to utilise various tools -- that are demonstrated in the course -- to gather all the information I need for any domain. I can confidently back up my domain valuations with facts and reasoning. The learning doesn't stop when the course ends, as there are groups setup of DNAcademy students whereby you can continue to share and build upon your skills and knowledge. If you are passionate about domain name investing and looking to kick-start your business, then DNAcademy is by far the best way to go. An excellent training course put together by one of the most well known, highly respected professionals in the industry." "I just made my first sale since finishing DNAcademy. You might remember I was asking about it during the late night (for me in Vietnam) office hours. Stasis.net sold for $3000. I just wanted to say thanks for the great class." "DNAcademy is amazing. The course cuts a TREMENDOUS amount of time off the learning process. I can't imagine learning all of these topics through trial and error and I don't think that I could have afforded that education." "Comprehensive, expert information delivered with real-world examples that teach. As an educator, I value the engagement with materials and personnel that went beyond instruction and got me involved. I continue to benefit long after taking the online class. The documents, resources and tools offer ongoing value that is priceless in my opinion. DNAcademy holds it's value for beginners and experienced alike." "I was just so excited about putting everything I learned to work, that I didn't want to stop. I finally have a business domain name, website and signature along with the email setup with Gmail. I'm getting closer to the part where I can actually start buying and selling.There's no way I could have done this without the course. Maybe others could have, but knowing myself, if I had to gather all the info from the course on my own through research, I would have quit before gathering it all.I like the way the course was set up, step by step, the way you explained it, slowly, with videos and video transcripts." "I can't say enough good things about DNAcademy!The lessons, tools and useable real-life lessons are unmatched – and I have done the research over the last several years to validate that. I was able to take what I learned and immediately put it to use.And DNAcademy works! I just closed my first sale acting as a buyer's agent and profited $2,600, and had fun doing it. Because I was able to acquire the domain so well for my client, I'm likely going to get a mid five-figure budget for their next acquisition.Finally, Michael gave me the encouragement I needed to get the deal moving. I cannot thank him enough for the personal support and open interactions. That is rare these days in any industry." "I believe a new online course from Mike Cyger, publisher of DomainSherpa, is a good resource for people just getting their feet wet in domain name investing...I think novice investors can recoup [the DNAcademy tuition] quickly in terms of time saved and money saved not buying bad domain names (or finding a good one to flip)." "The course is pretty freaking amazing and I personally learned a lot from it. The best thing about the course -- other than it is filled with great information -- is the fact that it is so simple to read, understand and straight to the point." "It's something I recommend to anyone starting out in the domain industry. It cuts your learning curve in half, saving you thousands of $ in time and money. Take the course!" @DNAcademy offers A excellent course for learning and understanding domains names! @DomainSherpa helps on your journey to become Great Investor ! Thank you guys for all you do to help our industry continue to grow ! "This course has really set me up for early success in a business where it seems many fall at the first hurdle. I think the most important lessons for me have been: start out slow, learn the skills detailed in the course BEFORE you start buying a ton of domains, and make considered and informed decisions. I have no doubt whatsoever that I have seen major ROI on this course already. Even in terms of money saved on the harebrained hand registrations that I would no doubt have gotten carried away with, were it not for what I learned in DNAcademy. Highly recommended -- make this the first step in you domain investment journey." "Domain investing was confusing, overwhelming and frustrating. But DNAcademy provided the theory, framework and educational foundation that I was looking for. I now feel empowered as an investor. I highly recommend DNAcademy to anyone who wants to start investing in domain names." "Very helpful feedback on my valuation quiz! And I love everything I've learned so far. Great course! Thanks again for the quick reply and taking the time out to get me that feedback. You rock! You have a gift for teaching." "For the past few days I have been working my way through the new online domain name course put together by Michael Cyger from DomainSherpa.com. It is called DNAcademy and I have to say that it is very well put together and easy to work through. The course is targeted at the beginner to intermediate domain name investor but, that being said, I have still found many nuggets of wisdom in the course that have given me new ideas for my domain name investing strategy." "DNAcademy and DomainSherpa are the absolute best resources for concentrated knowledge and a gift to the business..."
"Michael Cyger is the best educator our industry has!" "I have been watching Mike do the DomainSherpa.com show for years and jumped at the opportunity to join DNAcademy -- which proved to be a great financial decision. Mike is one of the best educators in the domain industry and I feel fortunate that he has displayed his mindset so others can learn from it. I have learnt a lot and will continue to do so from DNAcademy, and highly recommend everyone to join ASAP." "The case studies provided were particularly valuable as you get to see the hidden nuances of a given negotiation. Reading about the thought process when considering how to respond to a potential buyer’s comments/questions was also insightful and would be of benefit to both investor and entrepreneur." "Although I have been selling domain names full-time, I couldn't pass up the opportunity to sign up to DNAcademy -- and I'm glad I did! There were many tools and little tricks and tips which either I didn't know about or had forgotten about. I have to say the course is extremely well designed and very clear. Really a treasure trove of great information for domain name investors. I will definitely go back and visit many sections of the course to refresh my memory and continue to hone my skills!" "DNAcademy is professional and excellent, and I will recommend it to everybody, any day, any time. The price of the course is worth much more than I paid; having completed the course, I would have been happy to pay $997." "DNAcademy is a phenomenal course. It is very comprehensive and thorough, and full of pragmatic and useful information. I've learned a great deal about the world of domain name investing! And having spent years in business education and communications, I recognize when a training program is well-designed. It's also easy to navigate and chock full of helpful tips and resources." "I really enjoyed DNAcademy. It was laid out very well, and I like being able to go back and make sure I understand things completely if I have questions about them later in the course. I feel excited and prepared to start investing!" "We often look a domain names sales and make assumptions about what is selling but we don't understand why, which can have a very bad result. In DNAcademy, the comprehensive lessons make complex topics very easy to understand and summary quizzes drive home the most important topics. In short, DNAcademy provides a clear-cut guide to building your skills to be a confident domain name investor. This course will take you from presumer to a predictor with precision! My favorite part of the course is the tutorial valuations section where you see all of pieces of the puzzle coming together to give you the definitive path to domain name investing. My sincere thanks to Michael Cyger for taking the effort to put all in one place and offering it at an affordable price." "I purchased a $70 expired name and sold it within 6 months for $5,000. I could not have done it without what I learned in DNAcademy about using dropping domain tools, finding relevant comparable sales, and negotiating a successful transaction." "Domain Name Academy has been a rich and practical source of information and tools that have helped me value and sell domains much more effectively. Michael Cyger has proven to be a trustworthy man of his word, quickly responding to my queries and impartially sharing what seems in my best interests in each situation. I've found my permanent domain business home and my most knowledgeable and supportive guru." "The DNAcademy course is the most comprehensive online course for domain names. Michael leaves no stone unturned to explain everything in detail. He really wants the student to succeed!" "I'm not sure but I might be the first Korean learner in the DNAcademy course. Before registering for the course, I was confused about domain valuations when registering, backordering and buying. After taking the course, I am confident how to choose good domains. English is not my native language, but all lessons with tutorial movies had transcriptions so I could easily follow along. The course exceeded my expectations and I was very satisfied." "DNAcademy is great and I highly recommend it - I have been learning a lot as I go through the course. It covers everything and has a nice and easy interface so you can pick up where you left off. The forums are helpful and I’ve noticed some other park.io users posting there. The cost of the course will definitely pay off, no matter what type of domain investor you are." "This was a well rounded course and covered a lot of information. It was worth every penny. My only regrets are not going through the course in a timely manner and taking poor notes." "Having self taught domain investing through reading various blogs and forums, DNAcademy put everything I had learnt and then some all in one place with a fantastic step by step process. I was pleasantly surprised with how many new techniques and approaches to investing I learned. In particular the outbound sales section, which has allowed me to grow Wordr.com from a hobby to a career." "Prior to DNAcademy, I read every website I could find about domain investing but I was still very confused. The course was a logical, cohesive, step-by-step training guide to investing. Now I have the tools I need to be successful and now I am ready to conquer. If you're new to domain investing, take this course before you waste another dollar - you will be better for it in the long run." "I took the DNA course and while I agree that most of the information can be found for free elsewhere, I found no better resource for concise, trustworthy information. It might have saved me many hours and thousands of dollars if I’d found it earlier." "The DNAcademy course is a must-have introduction and advanced guide on how to make money buying and selling domains. Half-way through the course I realized the mistakes I made prior to the course. I strongly recommend DNAcademy to anyone who wants to be successful in the domain business." "Before taking DNAcademy I had no idea how to pick and value a domain. I now know what to look for and what has value. DNAcademy provided me that step by step road map. DNAcademy is a perfect course to fast track your education in domain investing." "The packed collection of knowledge, actionable advice, and concrete examples contained in the DNAcademy course is certainly unique. In particular, the course material is comprehensive, first-hand, and constantly kept up-to-date and expanded by Michael Cyger. He is not just one of the top experts in the domain-name industry, but also takes a genuine interest in the success of his students. I particularly profited from the exercise portions of the course. Keep up the excellent work!" "This course explains exactly why some domains are valuable, and some are never going to make you anything...My Mother could go through this course and become a domain name investor – that’s how thorough the course has been so far!" "Thank goodness for DNAcademy! It has saved me hours of hit and miss research on how to invest in domain names. This course is perfect for new and seasoned investors." "I'm very happy with DNAcademy because a year ago I didn't know where to find a scientific method to evaluate domains and to learn tactics. There are many sources out there, but this is the only academy for domain investors. Although the DomainSherpa show is excellent, DNAcademy is truly the way to go for beginners and some intermediate investors." "Realizing that domain investing is a wealth-building tool today and into the future, I began purchasing domains for my portfolio a few years back planning to produce an income stream. I realized that now that my portfolio was substantial it was the perfect time to begin my business, but I also realized how ill prepared I was and began seeking out websites, books and videos to educate myself to the domain reselling business. I didn't realize how much I didn't know about this opportunity. Confused, I continued to research to a level of frustration until I came upon the DNAcademy. You took me from a portfolio holder who was totally unsure of the domain reselling adventure to an informed domain reseller entrepreneur looking forward to participating front and center with confidence, tools and most of all a new community of like minded forward thinkers in this growing industry. Just wanted to put a big thank you out there as I sit here negotiating on one of my domain sites with an anxious buyer. Thank you so very much."